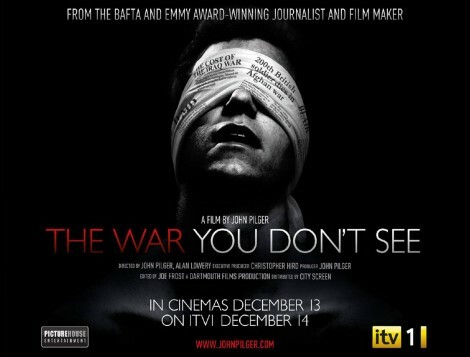 “The War You Don’t See” new John Pilger’s full length documentary is a powerful and timely investigation into the media’s role in war, tracing the history of ’embedded’ and independent reporting from the carnage of World War One to the destruction of Hiroshima, and from the invasion of Vietnam to the current war in Afghanistan and disaster in Iraq. As weapons and propaganda become even more sophisticated, the nature of war is developing into an ‘electronic battlefield’ in which journalists play a key role, and civilians are the victims. But who is the real enemy? This is John Pilger’s second major film for the cinema, after his 2006 award winning The War on Democracy. The film is being made with John’s long time collaborator Alan Lowery. He regards eye-witness as the essence of good journalis m. He has been a foreign correspondent and a front-line war reporter, beginning with the Vietnam war in 1967. He is an impassioned critic of foreign military and economic adventures by Western governments. “The major western democracies are moving towards corporatism. Democracy has become a business plan, with a bottom line for every human activity, every dream, every decency, every hope. The main parliamentary parties are now devoted to the same economic policies — socialism for the rich, capitalism for the poor — and the same foreign policy of servility to endless war. This is not democracy. It is to politics what McDonalds is to food….Many journalists now are no more than channelers and echoers of what George Orwell called the ‘official truth’. They simply cipher and transmit lies. It really grieves me that so many of my fellow journalists can be so manipulated that they become really what the French describe as ‘functionaires’, functionaries, not journalists….” John Pilger said. 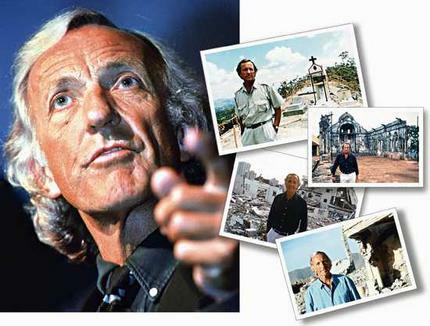 John Pilger had more than 20 journalistic awards in his career, the last one is the Sydney Peace Prize, Australia’s international human rights award.